Most people associate winter with dry skin. To counter the flaking skin, exfoliate your lips, face and body once a week, and don't forget your sunscreen, suggested experts. Exfoliate lips: Treat your uneven dry and chapped lips with luxurious lip scrub pertaining feed for one's lips with essential plant extracts. Fuse ground coffee with brown sugar and macadamia oil to get a pout as soft as velvet. Choose a radiant base: To get that perfect sheen, opt for a radiant and dewy finish foundation. A peach and pumpkin palette is the perfect substitute to bronzer during winter season to achieve a natural look. Cream-based blushes: To bring back that healthy flush and imperceptible glow this winter, cream blush is the need of the hour. A hint of both colour and moisture formula giving cheeks a three dimensional look bring the contours of the cheeks forward. Hydrating primer: A lightweight, serum-like textured primer provides a great canvas for make-up. An illuminating primer mattifies skin for that extra dose of radiance. SPF: Applying sunscreen to your face and hands every morning is essential. If you are anxious about the chemicals in sunscreens with high SPF, you can opt for children's sunscreen as it's just as effective and extra gentle on your skin. Don't shy away from supplements: Take supplements to give your skin some additional lift, particularly during the winter months. 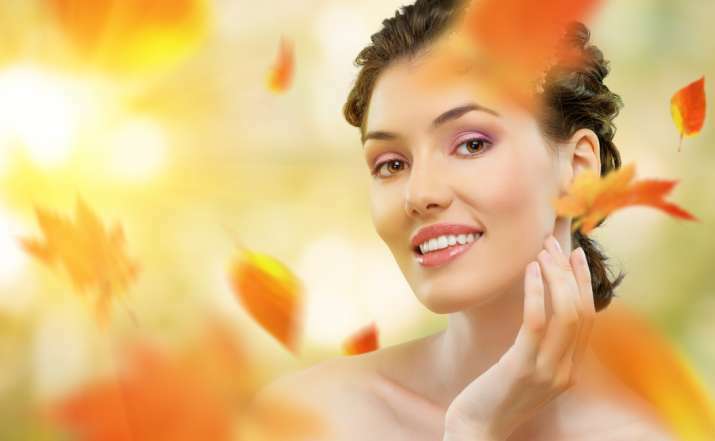 For winter, pay special attention to vitamins E, C and B2, which will support the creation of skin cells. Exfoliate: Between the cold, damp air outside and the dry indoor heating, your skin cells are majorly dehydrated, which can lead to a build-up of dead skin that can eventually clog your pores. Exfoliate your body once a week and your face once or twice a week, but make sure you don't over exfoliate. Use lip balm: There's nothing more irritating than cracked dry lips. A good lip balm is the key to getting soft lips.